Summary: Expats in the Bahamas describe what it's like living on an island nation. Cultural adjustment, life in the Bahamas, where to live, meeting people and more is described by people with experience living there. Expats in the Bahamas describe a wide range of experiences with cultural adjustment, types of people living there, the work ethic and more. The Bahamas is a large group of islands, cays and islets located east and southeast of Florida, and north of Cuba and Hispaniola. "Really take a close look at the cost of living before deciding. Everything is much more expensive here then it would be in most parts of the world. As an example a car here will cost about double the value in the USA. If you import it they add 75-80% duty on the value they determine (along with all the freight costs it quickly gets to 100% on top of the value) and if you purchase here the prices are already about double the price in the USA to begin with. Rent, Water and electricity are also very expensive here. This is not a location you would come to in order to lower your cost of living and "stretch" your salary but if you can afford the high cost of living the weather, beaches and people are quite inviting," said one expat living in New Providence, Bahamas. "Work with a good realtor. Talk to people and look at websites. Look for "security" first and foremost. Gated community feels safest if you are alone," said one expat living in Nassau, Bahamas. "Pack everyting in plastic storage boxes (lots of cockroaches here!!!) Think about your security. Criminality is high in Nassau. Choose a recent house. Think you may have lots of problems in a old house (plumbing, roof, etc...) Try to have a spare room or a cottage for your guests/visitors," mentioned another expat in Bahamas. "Use these types of forums to ask questions. Use the internet to explore. Google maps was very helpful. Our process was 10 months from first interview, so we had plenty of time to research, neighborhoods, schools and shopping areas. That said, nothing can prepare you for being on the ground. If you can get the chance to do some recon, do it," commented one expat who made the move to Bahamas. Moving to Bahamas soon? Crown Relocations owns and operates over 207 facilities in almost 54 countries. Their global network means they're unique in the relocations business and they're able to use Crown crews and vehicles wherever possible. Get a quote online by May 25, 2019 and you'll be entered to win 1 of 5 Amazon $250* gift cards. "It is a vast range of differences. The range is from very hardworking individuals that are employed by the banks, hotels etc which get very little time off to enjoy the island to the ultra rich with family money that spend most of their time living up the easy life and everything in between. We are considered a medium class family back home in Canada and so we are somewhere in the middle and spend most of our free time with our three children visiting and attending youth sports and clubs. Their is a vibrant night life scene but it can become fairly expensive quickly. The beach is a big draw in the warm months but locals do not swim in the winter months and so they are normally fairly empty at that time of the season," said one expat living in New Providence, Bahamas. "There is a large expat community in New Providence so it is easy to find others with the same interests as you. We have met most of our friends through the school which our children attend but there are also women's clubs, a Foodie group, running clubs, rugby leagues, a ball hockey league, sailing groups a kiwi club, a humane society that you can volunteer at and all other kinds of clubs and organizations. In addition you can find groups on Facebook of people living here on the island. There are also club houses on the island that you can purchase memberships at and meet people through as well, these tend to be more expensive then the cost of a similar club in North America," said one expat living in New Providence, Bahamas. "Saw a variety of places in the West on a prior visit and gave realtor an idea of what I liked. Recommendation from local contacts was to look out West as traffic from East into town was terrible and job was in town," said one expat living in Nassau, Bahamas. "We use a real estate agent. We choose the western side of the island, no traffic! But of course it depends where your office is located," mentioned another expat in Bahamas. "The security was very important to us. We live in a gated community. Not too far from my husband's office, airport and school. Through a real estate agent," commented one expat who made the move to Bahamas. "We used a couple online real estate agents: Dupuch and Paradise Island living. Looking for anything on Paradise Island close to Atlantis," remarked another expat living in Paradise Island, Bahamas. If you're searching for a job in Bahamas, expats talk about popular industries and how expats find employment. "Lack of employment is one of the biggest problems in the Bahamas. Most of the money invested here is in the tourism and banking industries and even that is struggling lately. It is VERY difficult to come here as a foreigner and work for a local company. Most expats either work for hotel chains, banks or come here working for themselves, working online or as investors and retirees," said one expat living in New Providence, Bahamas. "Tourism, fishing, international banking and some farming. Many of the expats here made their money in banking. I believe finding jobs here is more by word of mouth and being in the right place at the right time. Being able to open your own business is probably the best way to ensure work," mentioned another expat in Bahamas. "Work ethic is lacking. Ability to understand their responsibility for their own betterment. Tendency to take a laid-back approach to everything," said one expat living in Nassau, Bahamas. "Lack of professionalism, laid back attitude in industries that should move swiftly, prices, customs duties, lack of activities for children," mentioned another expat in Bahamas. "A resistance to change. Lack of interest in opportunities that both land and sea offer. Lack of use of both. Poor attitudes in any type of officialdom, basically service with a shrug or blank stare. Not caring about standards - the stores happily sell food that is out of date and even rotten. Communication is appalling, phones not answered, messages and emails not replied to, desks not manned. Corruption. Male chauvinism. There is a definite male/female divide here. Of course none of this applies to everyone or every place, there are some lovely people and some places with great service, but it is generally inherant," commented one expat who made the move to Bahamas. "Again there is a large diversity on the island due to the high amount of expats from all around the world. Most of the locals are quite religious and attend church weekly. They are accepting of differences and I have not had any trouble with either locals or expats because of my different religious, racial or cultural views. It is of course important as with anywhere to respect their differences and not try to change them (we are the visitors after all). Financially the differences even among the locals ranges widely from extremely poor struggling to maintain a roof over their heads to ultra rich living in Mansions on the water. It is important to recognize these differences when living here," said one expat living in New Providence, Bahamas. "No...unless Bahamian-ese is considered a language. The dialect is different but it's still English. Takes a bit of getting used to and understanding. I still ask my husband "Huh? What did you say? "," said one expat living in Nassau, Bahamas. "The speak English which is one of our fluent languages however the dialect is different and it is often difficult to understand them when they speak fast in that local dialect," mentioned another expat in Bahamas. Did You Anticipate Experiencing Culture Shock? "No, I was a bit naive. I simply figured I'm Black, they're Black, how hard can it be? It was extremely challenging," said one expat living in Nassau, Bahamas. "In most ways no. I was born and brought up in East Africa and lived in various countries in my life. However, without the ignorance of childhood and the umbrella of my fathers civil service employment and my ex-husbands RAF employment I was concerned that I might be less prepared than I thought," mentioned another expat in Bahamas. "We had already lived abroad in other countries so we were somewhat prepared to adapt our ways of thinking and living to our new reality however we were still worried about how it would be for our children to adapt and go to school there," commented one expat who made the move to Bahamas. "New Providence, Bahamas is not a place that you will retire to with plans to extend your nest egg. The cost of living here is rather high and if you are looking for a place that will allow you to stretch your dollars then look at one of the family islands or another destination. The banking system is quite difficult for foreigners so be prepared to show a lot of paperwork to prove your money is legit and not from criminal activity. The attraction of New Providence for us was the ease of travel, proximity to the USA, English speaking language and favorable tax laws," said one expat living in New Providence, Bahamas. "Yes, we expected it to cost us more and it has. No kidding, this is not a cheap island to retire too. Everything costs more here from groceries to real estate. Expect to spend more then you would in your home country," mentioned another expat in Bahamas. "Regardless of coverage, ensure you have the ability to travel to US for any major care needs. There are many private practitioners but only two hospitals. One is for people without insurance (Princess Margaret) and the other is for people with insurance (Doctors Hospital). Ask around in your community for reliable local providers, especially for kids. We found some incredible providers this way for our children," commented one expat living in Paradise Island, Bahamas. "As compared to Canada the availability and quality of some health care services is lacking but still adequate. The speed of which they will see you at the clinics and private hospitals is much faster then it is in Canada and for what is missing a quick trip to Florida will provide you with all you need that can not be found in New Providence," mentioned another expat living in Bahamas. Expats often inquire about the availability of prescriptions when moving abroad. "All common prescriptions are available. Pharmacies are in most shopping centers. Prescriptions are mandatory for just about anything and very expensive. Before our insurance kicked in at work our daughter needed stitches. The antibiotics and pain killers were about $150 at the local pharmacy. ," commented one expat living in Paradise Island, Bahamas. "Most prescriptions are readily available. I have found for those not commonly at the pharmacies that they will order them for you without a problem. I have a reoccurring prescription that they order from England and I have been getting it every month at my local pharmacy without any problem. The cost is generally a little higher then it would be in the USA but my prescription coming from England is actually cheaper then what I paid for it in Canada. Prescriptions are needed for all prescribed medicines but are easily obtained at any of the clinics," mentioned another expat living in Bahamas. Expats should carefully consider the importance of international health insurance in the Bahamas. "Before our health insurance kicked in at work our daughter needed stitches. We initially went to PM for treatment but after several hours wait a coworker assisted us to a private provider down the street. The cost at PM to be registered was $150. We lost that. The total cost at the private provider was approx $800 not including meds which were about $150. Work health insurance appears pretty good. We have a moderate copay and are accepted most places...even in united states," commented one expat living in Paradise Island, Bahamas. "I have found that the health insurance costs is more related to your health history then where you choose to live. Exclusions in new policies are common if you have a history of certain health problems. 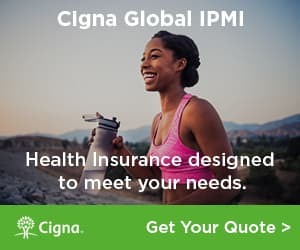 I have expat insurance as well as international health care insurance and have found them to be adequate in paying for both emergency situations as well as routine costs. The one problem has always been that I must pay for many services on my own first and then have it reimbursed by the health care provider, this can be hard on the cash flow if you don't have the money put aside for an emergency situation," mentioned another expat living in Bahamas. What's it like to move to paradise in the Bahamas? An expat on Treasure Cay, Abaco provides some great insight into her culture shock, an absence of culture, and even the various stages of imbibing as an expat in the Bahamas.